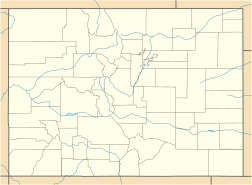 Browns Park, originally called Brown's Hole, is an isolated mountain valley along the Green River in Moffat County, Colorado and Daggett County, Utah in the United States. The valley begins in far eastern Utah, approximately 25 miles (40 km) downstream from Flaming Gorge Dam, and follows the river downstream into Colorado, ending at the Gates of Lodore in Dinosaur National Monument. Known as a haven for outlaws such as Butch Cassidy and Tom Horn during the late 19th century, it is now the location of the Browns Park National Wildlife Refuge. It was also the birthplace of Ann Bassett. She and her sister Josie Bassett, were considered female outlaws and girlfriends to several of Cassidy's Wild Bunch gang. In the early 19th century, when the Euro-Americans first entered the area, the area was inhabited by Comanche, Shoshoni, and Ute tribal groups. Blackfoot, Sioux, Cheyenne, Arapaho, and Navajo tribes also visited or used the area. The use of the area by Native Americans was documented by the 1776 Dominguez-Escalante Expedition and by the 1805 Lewis and Clark Expedition. In the 1830s the valley became a favorite location for fur trappers and settlers. In 1837 Fort Davy Crockett was constructed as a trading post and as defense against attacks by the Blackfoot. The fort was abandoned in the 1840s and the population of settlers declined. After the discovery of gold in California in 1848, the valley emerged among ranchers as a favorite wintering ground for cattle. 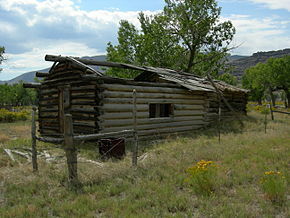 By the 1860s it had acquired a reputation as haven for cattle rustlers, horse thieves, and outlaws, alongside Hole-in-the-Wall, Wyoming and Robbers Roost in Utah. During its outlaw heyday, the Browns Park ethic allowed for most "outlaw deeds" except murder. Butch Cassidy reportedly acquired his nickname while working for a local rancher, and returned to the region repeatedly during his outlaw career. In 1965 the valley became part of the Browns Park National Wildlife Refuge, designated as a habitat for migratory waterfowl. The refuge contains the remains of several historic sites, including "Two Bar Ranch" headquarters; Fort Davy Crockett; Lodore Hall (which still serves as a community center); and several old abandoned cabins and homesteader settlements. ^ Massey, Peter; Jeanne Wilson (2006). Backcountry Adventures Utah. Adler Publishing. p. 61. ISBN 978-1-930193-27-7.